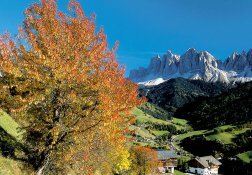 Villnöss is located in the homonymous valley, branching off near from Eisack valley Klausen. 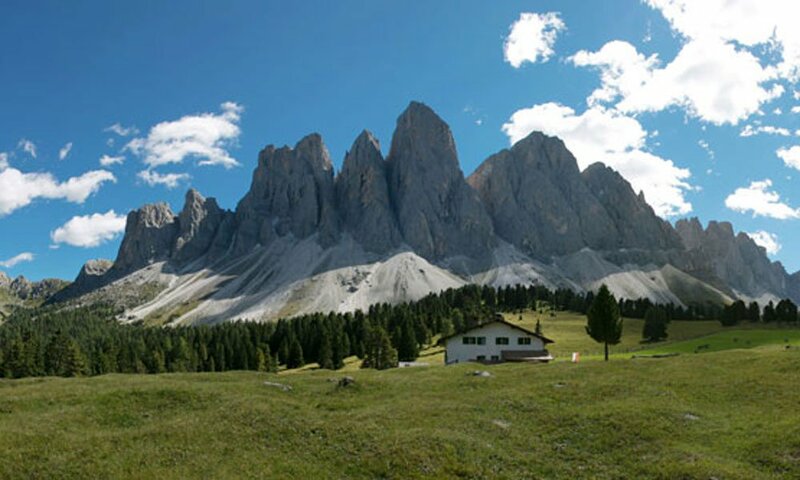 An imposing natural scenery awaits you during your holidays in Villnöss valley. 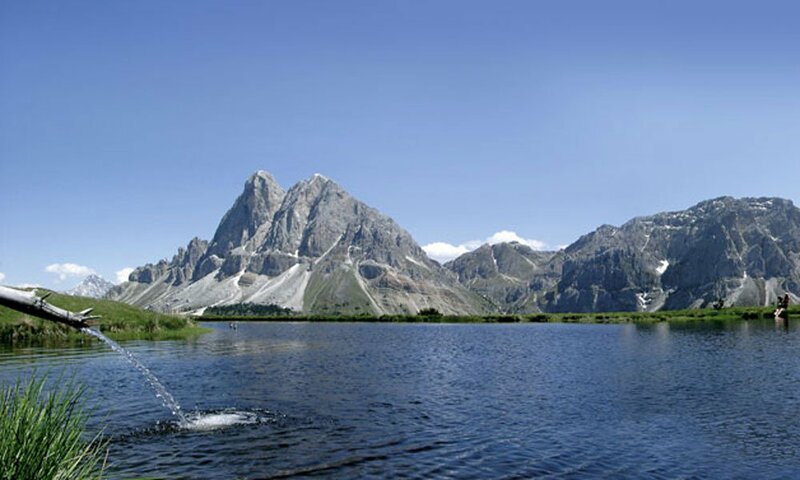 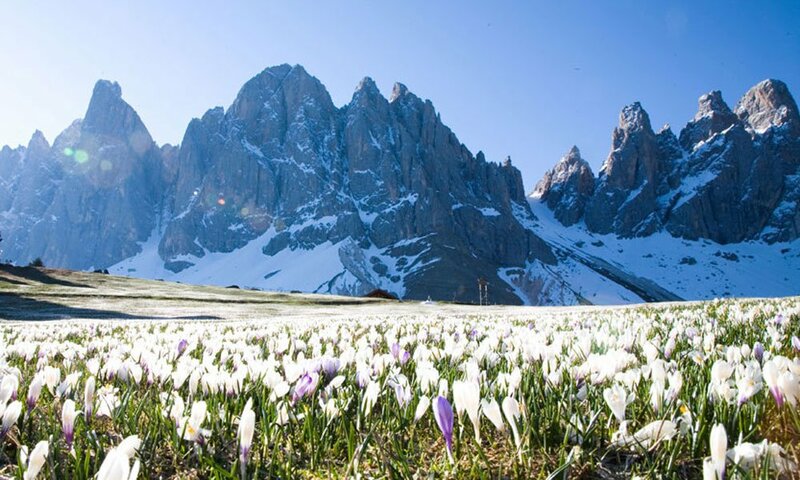 Up to a height of over 3,000 meters, the mountains rise in the sky around this location. 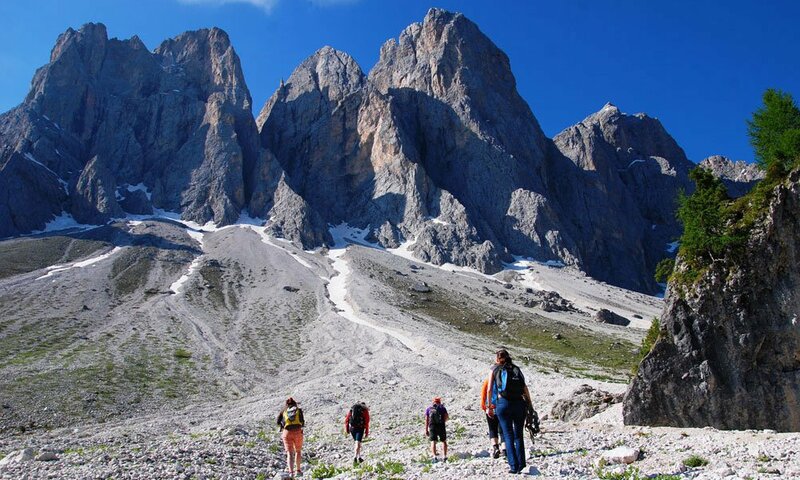 The Geisler group is among the most impressive rock formations in the South Tyrolean Alps. 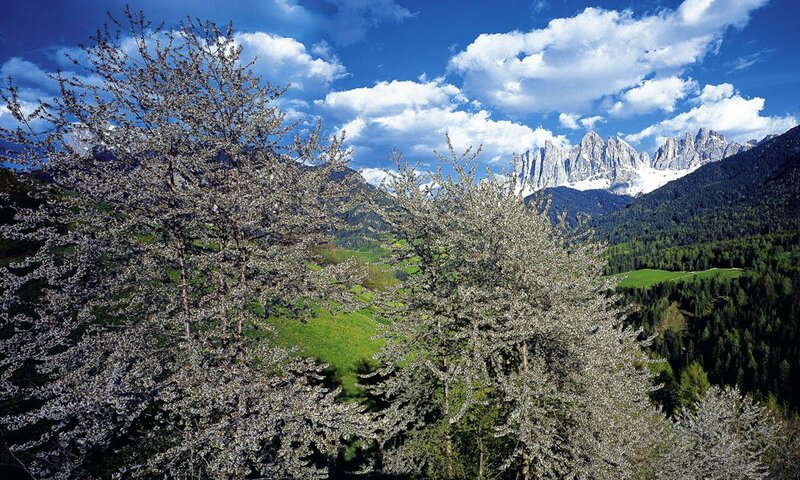 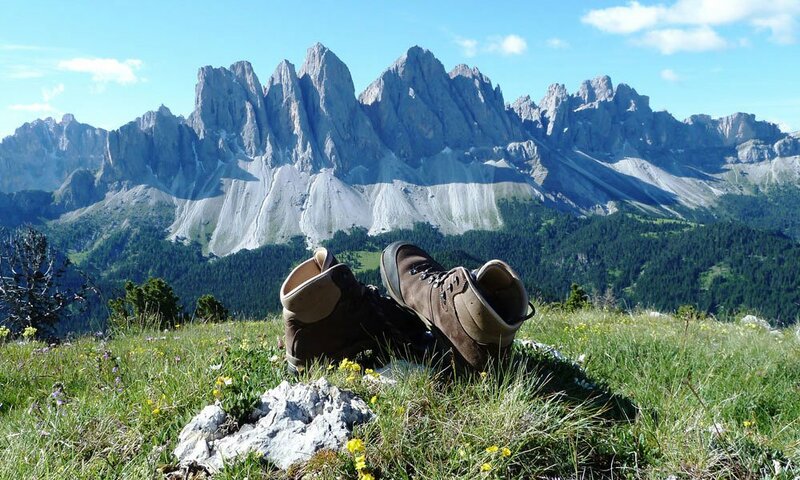 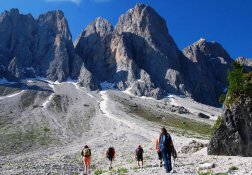 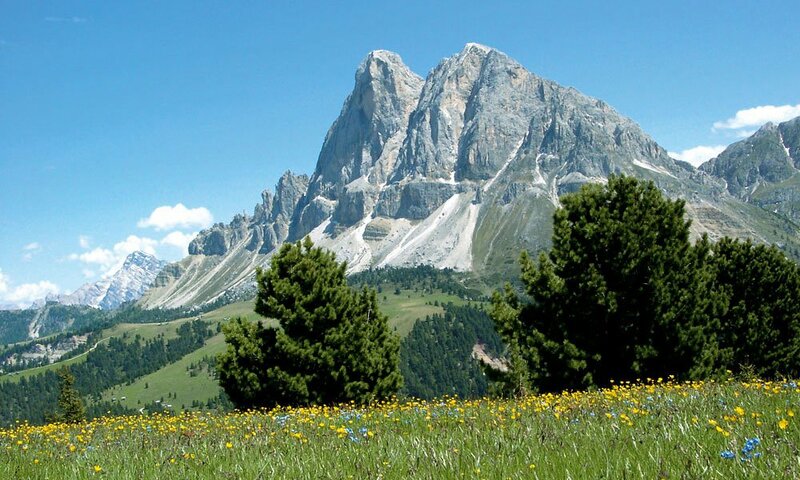 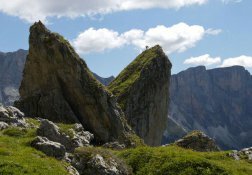 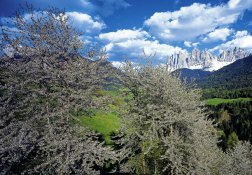 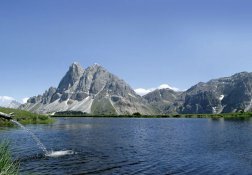 The jagged towers of the massifs are your constant companions during your excursions in Villnöss valley. 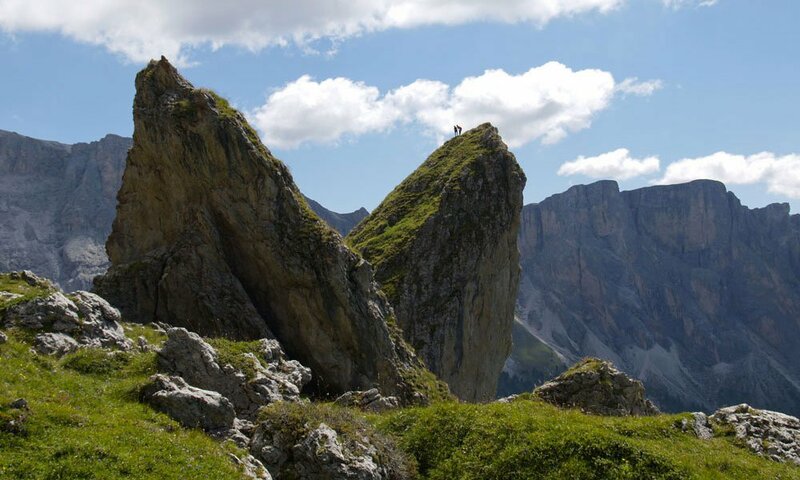 The Puez Geisler Nature Park impresses in the summer with its lush green alpine pastures and wonderful hiking trails and climbing routes. 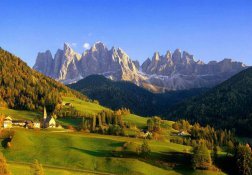 The Villnöss valley has got a special scenic beauty. 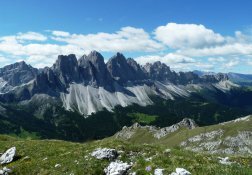 Hardly in another location you can find such a sudden transition from gentle low mountain terraces to high alpine mountain landscapes like here. 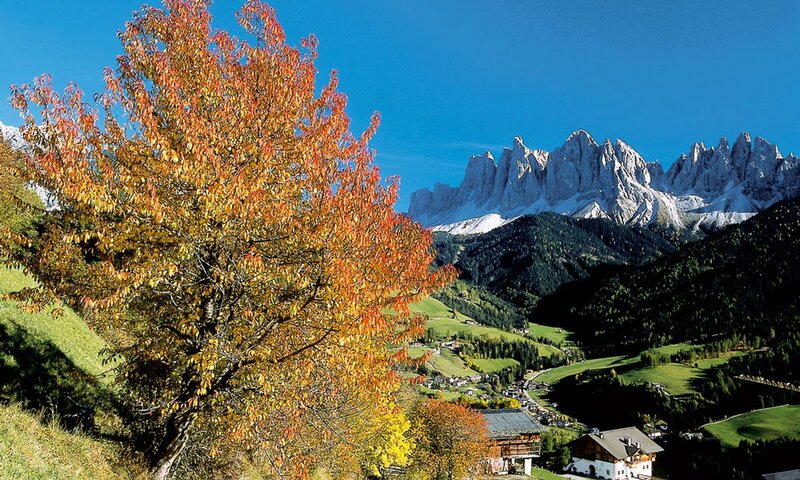 While on the slopes in the valley the wine thrives, the peaks behind already wear their wintry dress. 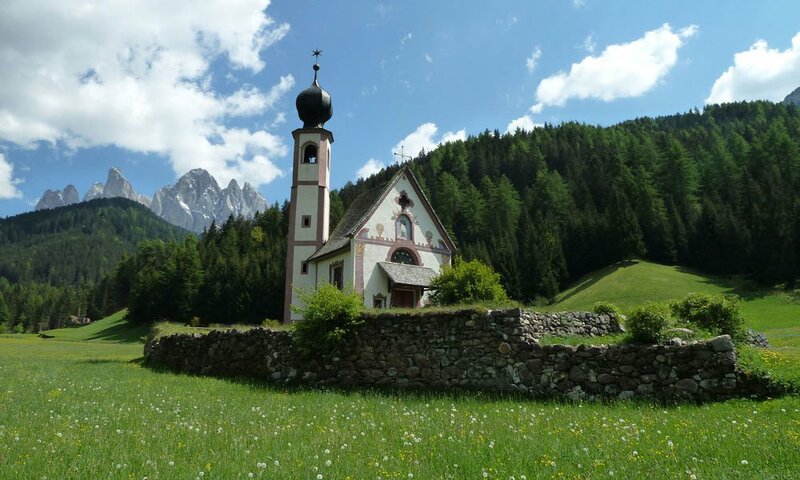 A sightseeing building in St. Peter’s district is the parish church with its more than 60 meters high, striking onion dome. 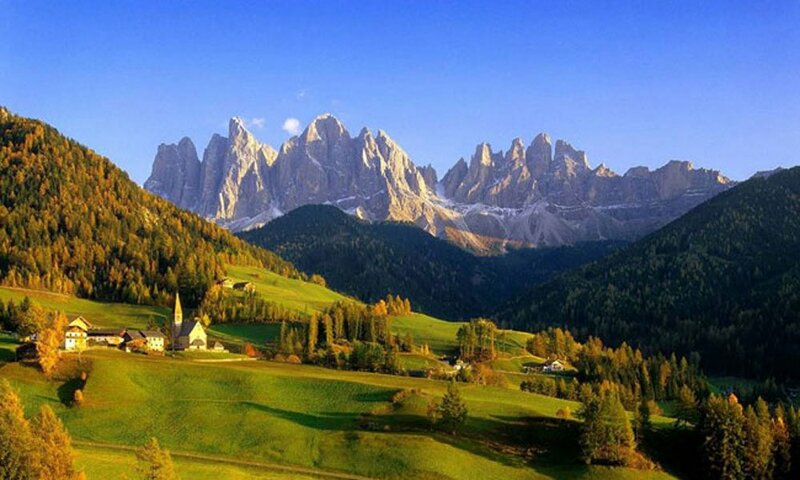 The church is also known as “Dom in the valley” due to its imposing appearance. 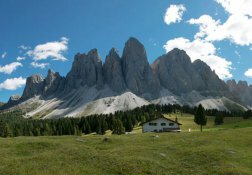 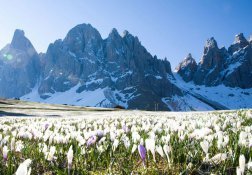 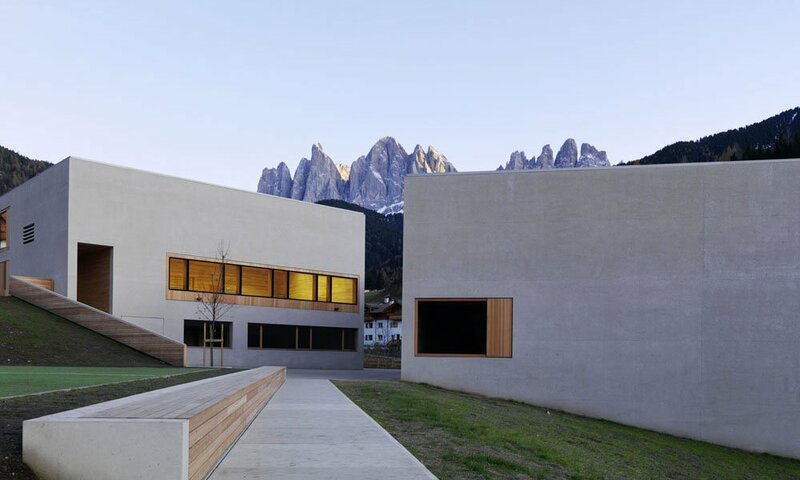 During your stay in Villnöss in St. Magdalena’s district you will get romantic impressions of the mountain world in the Dolomites Together with the old schoolhouse and the Mesnerhaus the church is one the most popular photo subject with the Geisler peaks in the background. 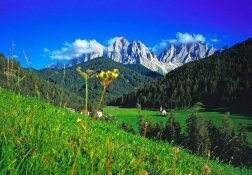 The area of Villnöss has rich deposits of natural minerals and crystals. 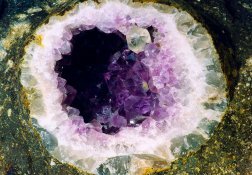 Agate nodules and amethyst inclusions are frequently found and the most beautiful pieces can be seen at the Mineral Museum. 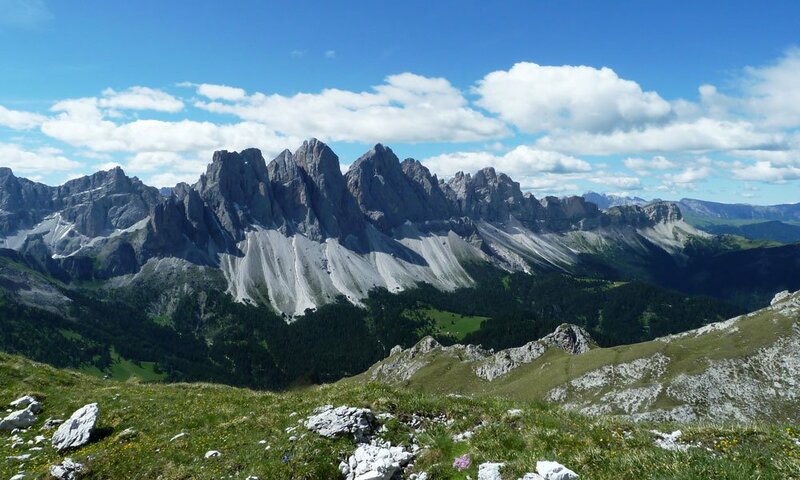 There you can have a comprehensive insight into the origins of the minerals and the geological contexts. 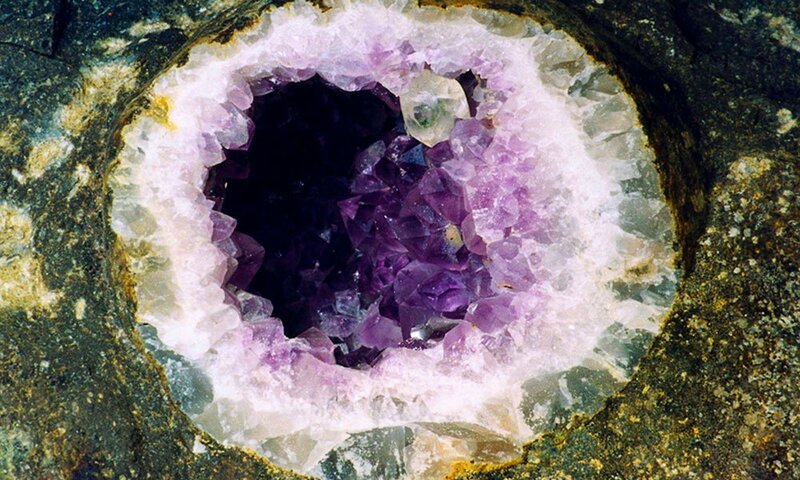 The so-called “Teiser balls” are crystals that are completely surrounded by rock. 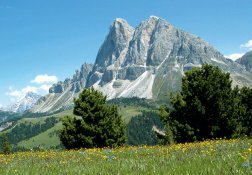 During your holiday in Villnöss admire the impressive minerals and enjoy relaxing holidays at the bottom of the Geisler group. 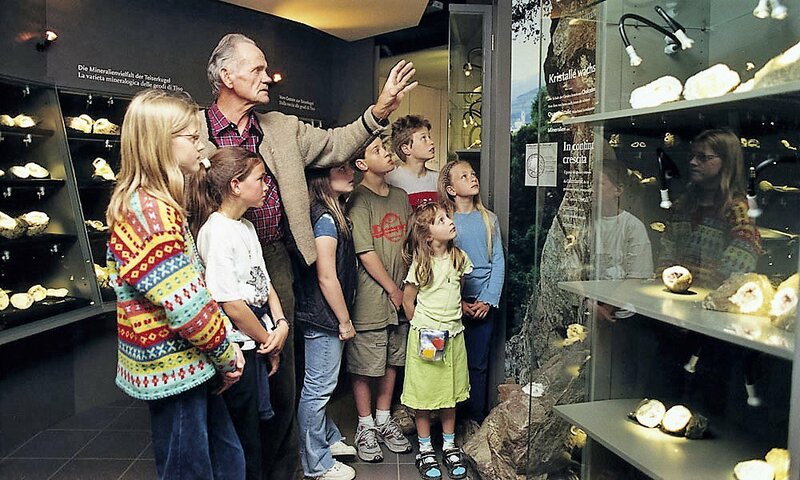 One thing you should not absolutely miss is a visit at the Nature Park House in Villnöss. 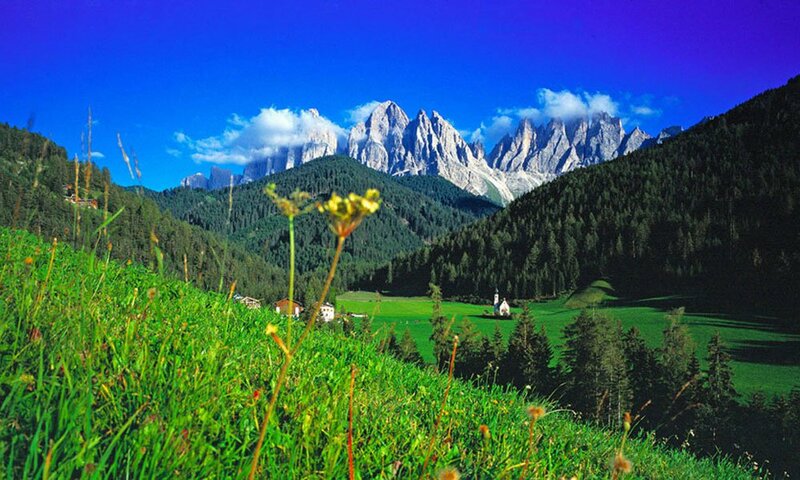 Here you find a large collection of geological, biological and cultural treasures of the region.